Dr. Javed Siddiqi built Desert Regional Medical Center’s Institute of Clinical Orthopedics & Neuroscience. 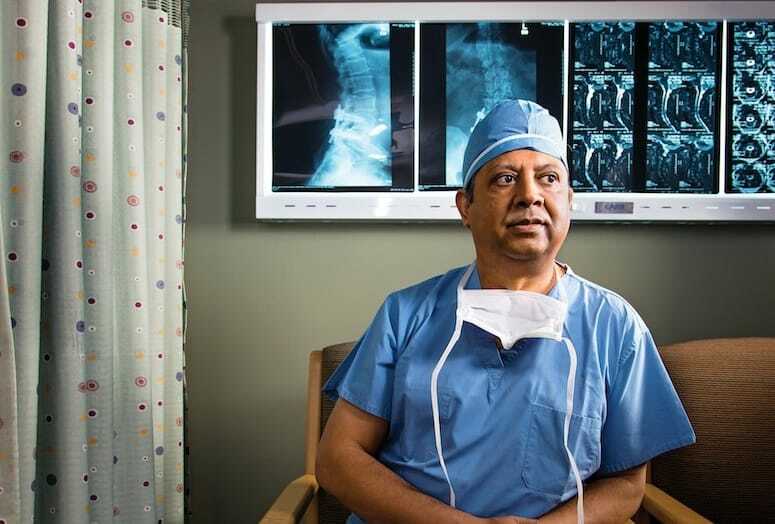 When Javed Siddiqi first arrived at Desert Regional Medical Center in 2005 to fill in during a neurosurgeon shortage, he planned to stay for 10 days. That plan changed when he was asked to stay and build a new neurosurgery program. Siddiqi agreed, but only after “doodling on a piece of paper” his vision for a neuroscience center that would go beyond neurosurgery to encompass neurology, neurointerventional programs, neuro critical care, and a comprehensive stroke program. VIDEO: Dr. Javed Siddiqi talks about knowing his career path since age 10.